The Tree Service is a family-owned business, local to the Newport/Diamond Lake area. Owner Don Pearl has over 20 years' experience in logging and construction, and is one of just a few professional arborists in the area with extensive experience removing hazardous trees, especially in and around residential structures and tight neighborhoods. 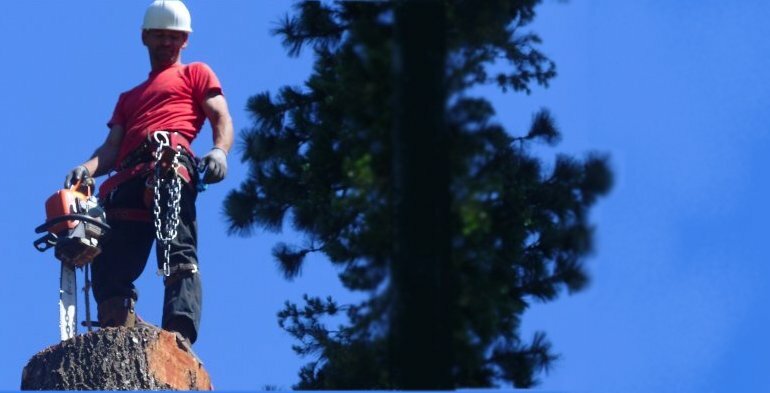 Providing 24/7 emergency calls and insurance work, The Tree Service prides itself on only the highest quality work and professionalism, customer service, cleanliness, punctuality, and community. We make it our business to see that our customer s are happy with the work we provide, and always leave our work sites safe and clean. Providing a wide variety of outdoor services to home owners, The Tree Service can handle most any construction, landscaping, or tree project imaginable. Give us a call today; we can't wait to hear from you! Payments for services available on approval.